Applied Data Science Lab presents new language processing tool. Cornelia Ferner, researcher and lecturer at the degree program Applied Image and Signal Processing (AISP), joined the 2016 FFH conference in vienna and presented new methodology for so-called topic classification in online product reviews. Combining HMMs and Maximum Entropy classifiers, a better overall performance could be achieved. The result was obtained in a R&E project together with the fact.ai startup. The project’s aim is to aggregate facts and sentiments about specific product components and display component ratings rather than an overall classification. 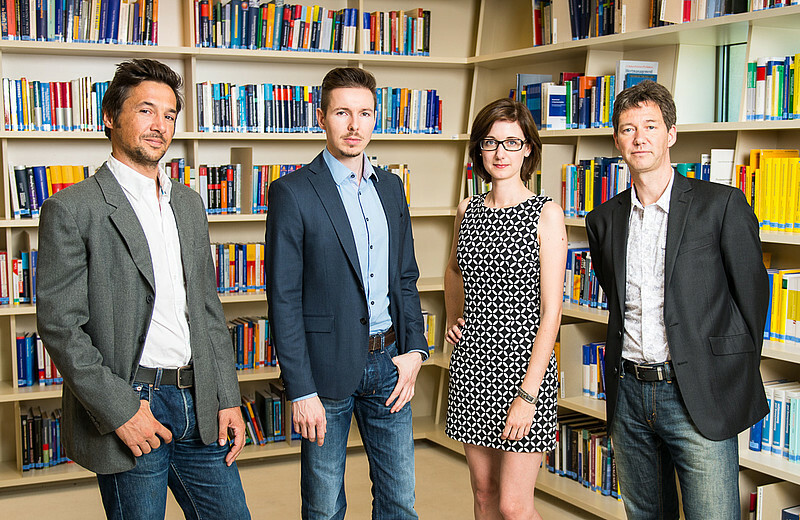 The AISP’s Applied Data Science Lab (Wegenkittl, Ferner, Pomwenger, Ott) focuses its research on new methodology for extracting knowledge from data. The main areas of application are natural language processing, medical image processing and biosignal processing. The diversity of applications nevertheless make use of a quite similar design and setup and mainly differ in the way that features are extracted from the raw data. In natural language processing (NLP), Ferner and Pomwenger currently address the question of how to combine algorithms from the areas of deep learning, classical pattern recognition and NLP-specific feature extraction (word-vectors, bag-of-words) in a meaningful way.